Thank you to Carol! You look so Divine in your art tshirt! 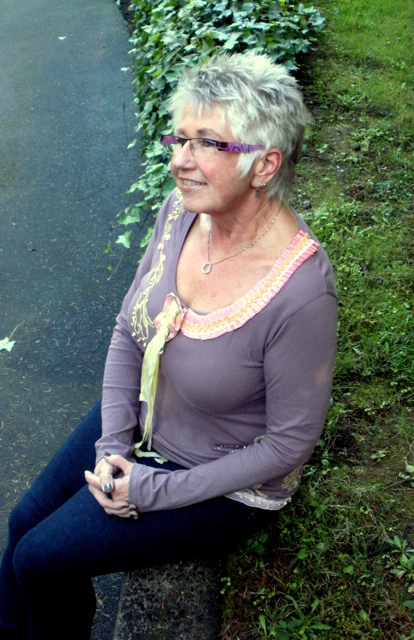 It was a honor to be commissioned to create this shirt for her to wear while attending an Art & Soul re-treatl! 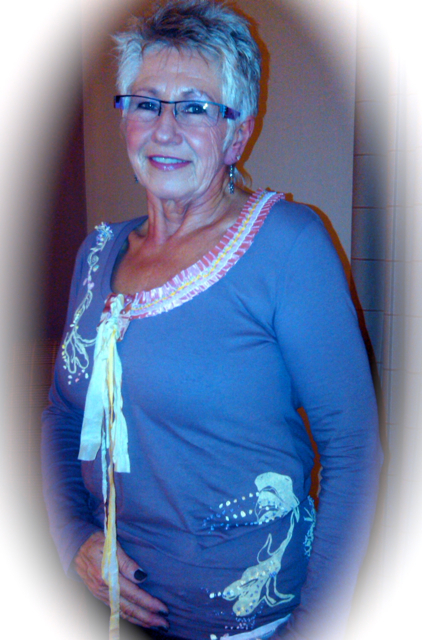 She is so beautiful and compliments my design wonderfully! Happy & Lucky to have a new friend! She is one of my ladies who makes a great model! 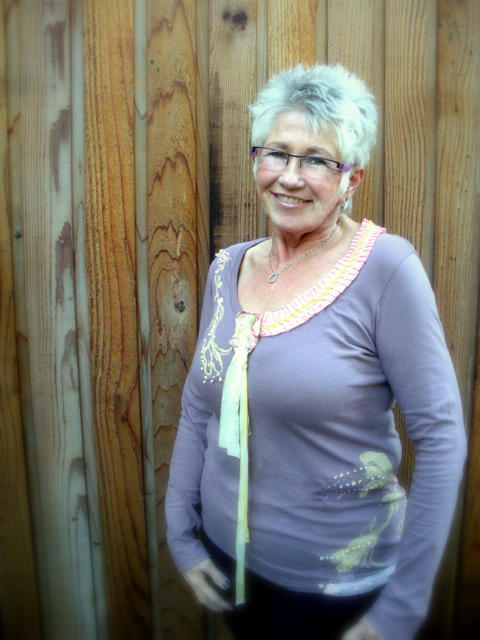 An organic t-shirt like this will be featured in Altered Couture, Stampington Press, Winter 2011! I am so lucky to meet such wonderful friends! Carol Mulder-Millspaugh, of Oregon is an artist! Can’t you tell by that twinkle in her eye! 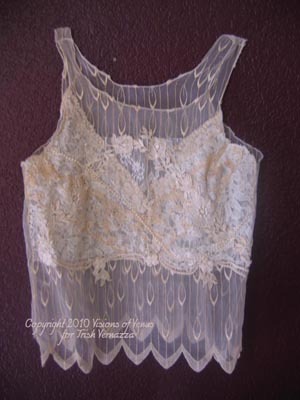 I was featured 2 times in Altered Couture Magazine, November/December 2009, Stampington Press issue for my “Vintage Camisole, as a Featured Spotlight, Page 28-29th and “Roses Are Red: Organic Art Tshirt, page 42-32. Also, my camisole was published on the Tops & Pants page and contents page! Roses Are Red was featured as an advertisement for Haute Handbags, inside cover, in which one of my dear friends, May Bergam’s “Funky Lady”, purse, made for my birthday present was featured! 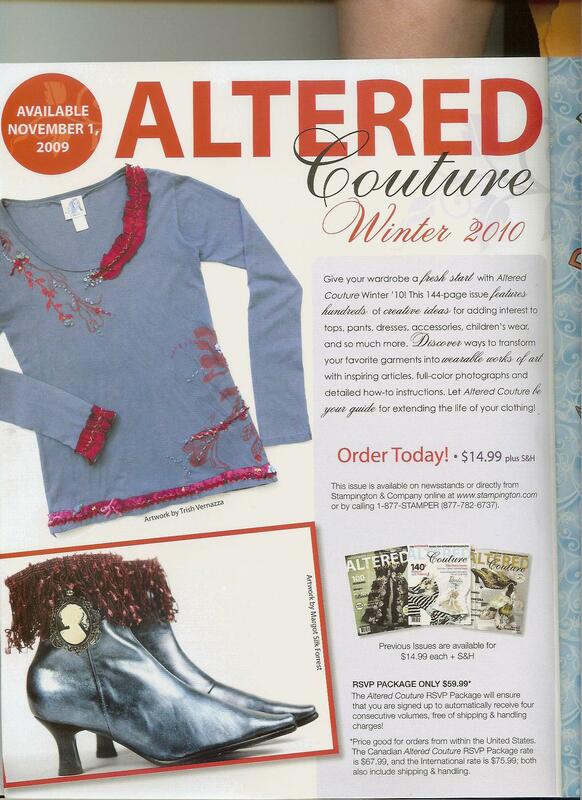 I just learned that I will be featured again in Altered Couture Summer 2010 Magazine! This is wonderful!! Thank you to Beth Livesay for choosing my designs!